Over the past several years we have all become painfully aware that CO2 emissions from fossil fuels likely play a significant role in worldwide climate change. Our insatiable demand for energy is driving prices up and generating more CO2 than ever. The largest energy sources are Oil, Coal and Natural Gas. All fossil fuels which generate significant CO2 emissions. And the cost of all of these fuels has doubled in from 2007 to 2008. Our demand for energy is increasing worldwide, at an ever increasing rate. Given the current rate of increase, several estimates put worldwide demand at 30 Terawatts within 30 years, an increase of 18 terawatts, more than double today’s requirements. So we need move to renewable sources which don’t generate CO2 when burned. Solar, biofuels, nuclear. Sounds like a plan! Or is there trouble in paradise? Nuclear power generation does not emit CO2, or much of anything else. The heat from a controlled nuclear reaction boils water into steam that spins a turbine. 3 new plants are planned and beginning the license process in the US. And possibly as many as 8 worldwide this year (requesting licenses). Let’s go out on a limb and hope that somehow that figure grows to 45 new licenses this year, and 45 more every year for the next 30. And they each take no more than 10 years to build. And what is the result of in 30 years? 1 Terawatt. Not the 30 total we need, or the 18 additional Terawatts in growth. Just 1 lousy Terawatt. Puts it all in perspective. This technology is controversial since it takes real energy to grow and harvest crops. The full analysis of many of the biofuel processes we have suggests that some (such as corn ethanol) use more energy to make and distribute than we get back out. But that argument aside, let’s pretend for the moment that we get 100% efficiency and there is no energy required to grow and process the crops. So we will take every acre of plantable land on earth and plant the most efficient crops we know of to generate biofuels. That should do it. Well, not really. That is only about 3 Terawatts. But we are on a roll, so let’s continue. Photovoltaic technology has come a long way in the last few decades. Efficiencies have improved and costs have come down. And more plants are being built to supply more solar. A good size solar plant today can manufacture enough solar cell’s to generate 1 gigawatt annually. Of course it would take 1000 plant-years to get to 1 Terawatt. And a lot of silicon (or other substrate). If we can make 20,000 square miles worth of cells and place them in sunny areas on earth, it will take all of the output of the current and planned plants for the next 25-30 years. And how much power is that? About 2 Terawatts, if all goes right. Of course, only during the day, but that is another issue. Adding up the largest sources at levels that we likely cannot attain, we still only end up with 6 Terawatts out of the 30 Terawatts total required to meet our needs. 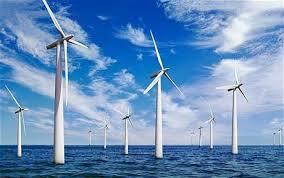 Add in wind, solar,thermal, wave energy etc. and there is maybe another Terawatt. So basically, while these are all excellent businesses and fine technologies that must be pursued, we cannot count on renewable energy sources alone to get us to the promised land. The only hope we have of addressing CO2 and climate change is conservation. Since renewables can only deliver some 6 to 9 Terawatts total, we have to deal with as much of the 21+ Terawatts in other ways. As discussed earlier, the built environment is responsible for 52% of worldwide CO2. In order to address the built environment, we need to address the materials (such as new cement, drywall, metal processes) as well as building operations (primarily heating and cooling). Companies like CalStar and Serious Materials are re-inventing the old processes, reducing embodied energy by 75% or more.We all can address operations, at least at home. Easiest targets are sealing ductwork, installing programmable thermostats, insulating homes that aren’t, and choosing high R value windows (at least R6 and preferable higher). Up to 50% of heat loss occurs through windows which are closed. Upgrading to dual pane low E windows is only gets to an R3. New technology is becoming available (such as ThermaProof Windows) which can provide R values above R10. 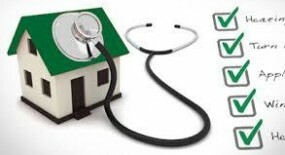 A 300% improvement and a significant savings in heating and cooling bills. If we begin addressing out built environment, we can easily reduce the energy required by 75% over today’s inefficient buildings and materials. The result would be a 12 terawatt savings in 30 years. And it is the least expensive 12 terawatts available, much less expensive than more coal power plants, which is the alternative.So what will you do? Save the environment and your energy bill too. Make the right choice and act now. It can be hard to believe how much it costs to heat and light your home until you really start paying attention to how much your energy costs run to. If you count everything from keeping your house at a comfortable temperature to keeping your car fueled up, you can quickly come to the conclusion that your energy costs basically eat up most of your paycheck. However, there are all kinds of ways you can make a dent in that bill though and, best of all, they’re not really difficult to implement. If you were to pick up a common list of ways to save on household energy consumption and actually do those things, you could probably come out a few thousand richer the end of the year without really giving up much. But, what are your options if you’re after more significant savings? 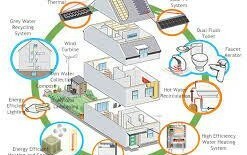 Well, these ideas for green energy solutions, supplied by MES FM (www.mes-fm.com) should help. For instance, what do you think about installing a wind generator on your roof or elsewhere on your property? Bring this up with anyone and right away they balk at the idea of a huge unsightly three bladed monster whirring up a storm up there. 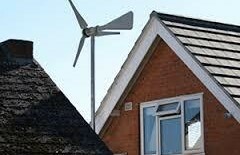 While these are great at producing lots of power, you haven’t really seen anything until you’ve seen the little green energy solutions they’ve come up with – they look like large portable fans and you can stick them on your roof just like that. They look pretty high-tech too. The small ones take care of about 10% of your energy costs. There was once an article in the LA Times about how all these big movie people make a point to go get a hybrid car. When the salesperson asks them about their interest in being green, he usually learns that they all live in huge mansions that are air-conditioned and heated every minute of every day whether there’s anyone at home or not. Basically, when it comes to green energy solutions, waste not-want not should be the rule you live by. In that spirit, here’s a simple way to go – make sure that the energy you use isn’t wasted. More to the point, make sure that your house is completely well-insulated. Really, it’s difficult to understand how much energy is wasted when you don’t pay much attention to it. There’s been an experimental kind of home construction project done in Germany where they have been able to pull off a way to completely maintain comfortable temperatures indoors with no artificial heating at all. They just insulate the house extremely well, and make sure that not even the ventilator throws out air that has any heat left in it. And you can go through the deepest winter without artificial heating this way. If the design of the house is so good that your body heat is never wasted, that’s all you need. These are green energy solutions should come stateside soon enough. What you can do right now is to install double-glazed windows and take the leap and invest the $5000 or so that it takes to insulate your house all around. Renewable power sources contribute roughly about 29% of energy used worldwide. Using sustainable resources for mass production of electricity is now more commonplace, due to the environmental consequences usage of fossil fuel derivate energy brings. To expand usage of clean energy technologies, it is promoted by countries and organizations worldwide through tax incentives and subsidies. Our most powerful energy resource is the sun. Most forms of sustainable energy is in some way produced by the sun, e.g. its heat contributes to the growth of plants and trees that are used in production of biomass energy and it also plays an important role in producing wind which we can utilize with help of wind power technology. By using solar power technology to capture radiation with photovoltaic panels, we can create electricity; sunlight is also a large contributor in making hydropower possible. Another great energy resource is geothermal energy that is acquired by using heat from inside the earth itself. This energy derives from the radioactive decay in the core of earth, which heats the earth from inside out. The ocean supplies us with several sustainable energy resources, and each one is driven by different forces. Not comparatively cost-effective at the present but as ocean power technology evolves the ocean could become a big player in the energy game by bringing us electricity from the waves, tides and the heat stored in sea water which can also be converted to electricity. This makes the ocean an important potential energy source for the future. Ocean power is often divided into two classes, wave power that uses floats to extract mechanical energy from the motion of the waves and tidal power that uses dams to draw energy from the changes in water height due to the tides. This source has an enormous potential, both as a fuel and energy resource. Hydrogen power is not ready for full commercialization as the technology to bring to fruition the extraordinary potential is still in its early stages. Hydrogen is the most common element on earth, e.g. water consists of two-thirds hydrogen. The process of separating it out is very complex. 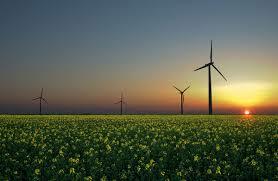 A wide variety of different renewable energy associations exist throughout the world. 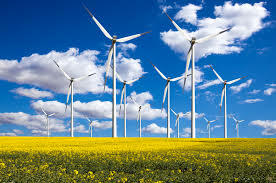 The German Wind Energy Association (BWE) is the biggest renewable power association in the world; they claim their wind energy installations to be the most successful of all the renewals. Argument instead of polemic convincing through facts, this is the credo of the BWE.